Celebrating the 10th anniversary of this wonderful story about dreams, believing in yourself ... and a dancing kangaroo. Josephine is a kangaroo - who loves to dance. 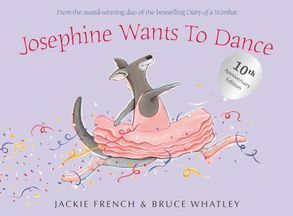 Her little brother, Joey, tells her that kangaroos don't dance, they hop - but Josephine continues to point her toes and leap through the air. When a ballet troupe comes to town and both the lead ballerina and understudy are injured, Josephine's talents are called upon to help save the day. Can she do it and, more importantly, does it matter that she's a kangaroo? 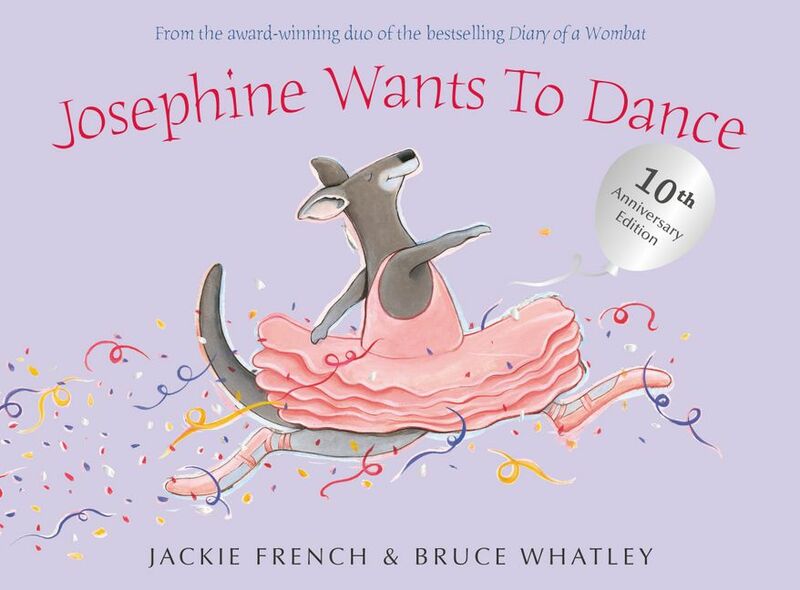 JOSEPHINE WANTS TO DANCE has been delighting children since it was first published ten years ago, and this pink and sparkly anniversary edition is the perfect way to celebrate!